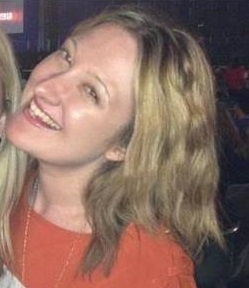 Bree Hoskin | Entertainment and Lifestyle Writer. I’m a writer with a passion for pop culture and dance floors. Head over to my blog at sliceofbree.com to check out my articles, reviews, interviews and more. I have a PhD in English Literature under my belt and I’m a former online editor for London’s dance music station GaydarRadio. You could often catch my segment ‘A Slice of Bree’ on the GaydarRadio Breakfast Show with Neil and Debbie, who gave me the nickname – wait while I put on my best Kath & Kim accent – ‘Oh Hoi Bree!’ Oh hoi! I’ve interviewed many artists and celebrities in my time, including Sophie Ellis-Bextor, Darren Hayes, Il Divo and Fedde Le Grand. A random highlight of my writing career happened the day I discovered that my work was referenced in the Wikipedia pages for the Home and Away characters Morag Bellingham and Casey Braxton, as well as Izzy Hoyland from Neighbours. My articles, interviews and reviews pop up here and there on sites like Culture Brats, Same Same and We Love Perth. My rom-com novels 90s Queen Bee and the Watty Award winning Girl and Boys are free to read on Wattpad. What’s more, I’m the author of the book ‘This Tin Tub’s Unsinkable’: Modernity and the Titanic Paradigm in Visual and Literary Culture, available on Amazon.